On August 7, 1972, Ugandan dictator Idi Amin demanded that Ugandans with Asian ancestry (about 60,000 people) leave the country within 90 days. 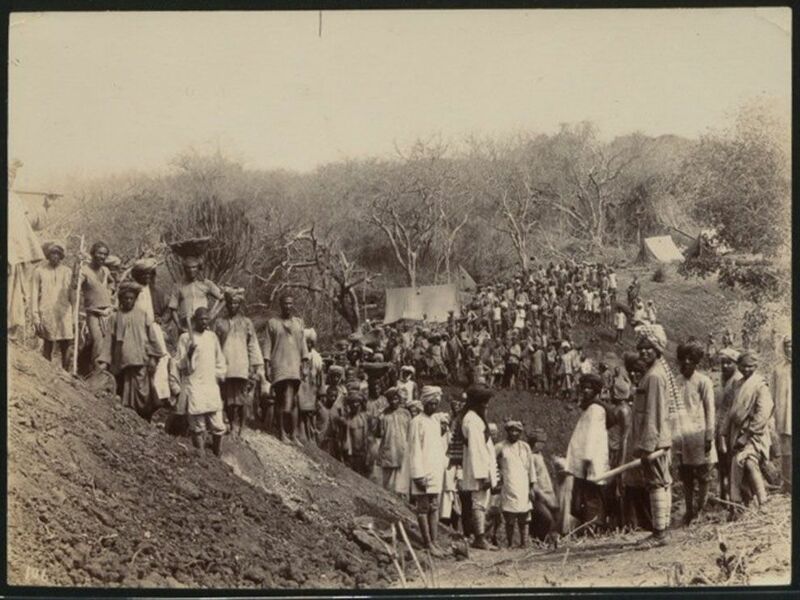 British colonial authorities brought thousands of workers from the Indian subcontinent (India, Pakistan, and Bangladesh) to sub-Saharan Africa for projects such as the Ugandan Railway, above. In 1972, Ugandan dictator Idi Amin forced 60,000 Asian Ugandans—mostly the children and grandchildren of these workers, who had never lived in either India or Great Britain—to leave the country. On August 7, 1972, Ugandan dictator Idi Amin demanded that Ugandans with Asian ancestry (about 60,000 people) leave the country within 90 days. The Asian presence was a legacy of colonialism, as most Asian Ugandans were the children and grandchildren of Indians brought to Uganda by British leaders when the nation was a colony. The expulsion of Asian Ugandans is an example of ethnic cleansing. Ethnic cleansing is the forced migration of a group of people by leaders and residents in order to pursue a more unified or homogeneous population. Asian Ugandans were a vital part of the Ugandan middle class. They owned businesses, farms, and manufacturing centers. More than 5,000 homes and businesses were taken from Asian Ugandans when they were forced to leave. The country was drained of human, financial, and manufacturing resources. Most Asian Ugandans immigrated to Great Britain, where many faced racist hostility. Others immigrated to the United States, Canada, India, Pakistan, and neighboring African nations such as Kenya and Tanzania. policy designed by one ethnic or religious group to remove by violent and terror-inspiring means the civilian population of another ethnic or religious group from certain geographic areas. uniform, or the same, in structure or composition.